We have not had the snowiest winter so far this season, so when it snowed all February 29th, it was delightful. 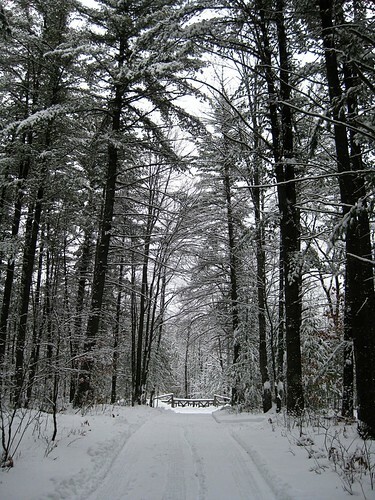 Next day the temperature promptly rose to the high forties and it was time for a walk in our winter wonderland. Click here to view a nice slide show.